Home Uncategorized 6 Ways Blogs Can Improve SEO results. It seems almost every company now days have a blog. But unfortunately, very few organizations fully capitalize on their blog content to maximize their SEO results. Like many others you may also have a blog section on website but may not be using it in the right way to attract organic traffic. 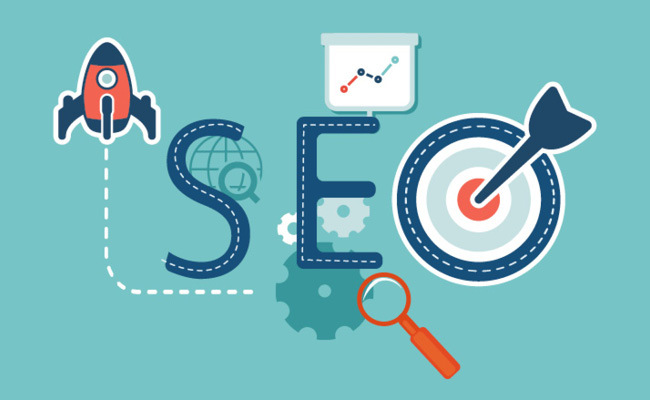 Here are few simple ways that we as SEO Company can suggest our customers to improve website visibility online and get better ranking in search engine. Use Compelling name instead of Just “Blog”. As SEO service provider, we usually come across a very simple mistake that annoys us. When you go to company`s website and the look at the name of the blog is “Blog” that is very generic terms. As a marketer, you should be creative and descriptive when giving a name to your blog section. By not naming it appropriately you are losing an optimization opportunity. Just consider what should be an overarching theme of the blog? How can the name provide a compelling description of the industry you are operating in? Can incorporate important keywords in the blog section title. For example, if you have a look at office supply retailer “Staples” website, they have blog section titled Staples Business advantage blog which discusses different topics related to workplace productivity. You should do the same in case you find it difficult to include keywords in the name, include them in the page title. Each Post should be optimized for specific customers segment. It is very important that each of your blog posts is written while keeping specific types of customer segments in the mind. That means it should be most relevant content that is optimized for specific customers. In addition to that, it should contain target keywords according to their specific needs and solutions. For example, if you are a computer support service, you might include a post specifically targeting Mac computer users to capture that audience. Effective URL structure is important. An effective URL structure can help in many ways for example like it makes result reporting easier, many companies make a mistake by not keeping the blog as separating section, as a result, their blog URL syntax doesn’t include a blog and keeps on the main domain. You must not repeat this mistake as it will make it difficult for you to track the overall progress of the blog within analytics. Secondly, you can ensure keeping URLs user-friendly. It is a common practice for many marketers to include each and every word of title in URL resulting in unusual length. You can leave and our but and to type of conjunctions. SEO improvements don’t just include new website content but you can also gain benefits from optimizing existing blog posts. By reviewing current content on blogs you can also identify opportunities for additional on page SEO. Add internal links to other relevant internal pages on your website. Adding optimized images can also be helpful. You should link one post to another relevant post. Include target keywords in title tags and Meta descriptions. Making use of existing content can save you lot of time and resources.Leveraging existing blog content can save precious time and resources. You must always consult with reliable SEO company to get professional help for all your SEO needs. Use Blogs Section to Find & fill content gaps. Blogs are good for SEO as these provide a fast and easy way to create content that specifically designed to fill SEO gaps. Ask yourself you have any specific phrases that you are struggling to rank in search engine? Is there lack of content on your website or with keywords? If the answer is yes that writing blogs to fill these content gaps can be great for your SEO efforts. You may require help of SEO company in order to identify and find content gaps in your website. Capitalize on social media sharing. Sharing blog posts on social media can have a number of benefits for example. It keeps your social media presence current and relevant. The audience can be engaged with regular posts. Social signals are part of the ranking algorithm and help improving SEO results. You can get more referral traffic. Therefore it will be highly beneficial to always share the blog post on social channels. Don’t forget to add a couple of sentences describing a brief summary of the post or an excerpt from the post to let the audience know what this post is all about. Remember, regular blogs is fastest and easiest way to implement or enhance website content to improve SEO results. Looking for reliable SEO company in Dubai? Contact Whitehats media at +971 4 3382 500 for top-notch service.